Dr. Khan has performed thousands of major cosmetic surgeries with success. Additionally, he has held academic appointments for St. Barnabas Medical Center/Union Hospital and the Hoboken University Medical Center. He currently operates at St. Barnabas Medical Center, Essex Specialized Surgical Center, Carepoint Hoboken University Medical Center, and River Drive Surgical Center. Dr Khan developed a specialized expertise in Botox®, Dysport, and Xeomin injections followed by wrinkle filler/liquid-facelifting injections, including Restylane®, Juvederm®, Voluma, Belotero, Radiesse® and Restylane Left. 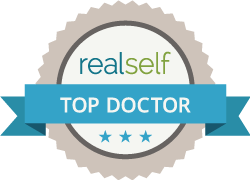 He also has expertise in SmartLipo, VASER, and LipoWAND Liposuction! Call Edgewater and Hoboken Cosmetic & Laser Centers today at 201.313.8899 to set up an initial consultation. You’ll be happy you called.